Coupons valid until May 07, 2019. May redeem multiple coupons per person. Coupons can be combined for a longer stay. One child below 6 years old stay free of charge. Extra bed & breakfast for one extra person sharing the room is for a $20 charge. Pets are not allowed. Check in after 2 PM, Check out at 12 PM. Reservation required 2 days prior on 09 795 597 or 09 796 697, quote Gosawa coupon. Cancellation Policy: reservations must be cancelled 2 days prior, otherwise coupons are considered as used. No carry over. VAT included in price. Standard terms & conditions apply. Eager to spend some tranquil time with your other half? 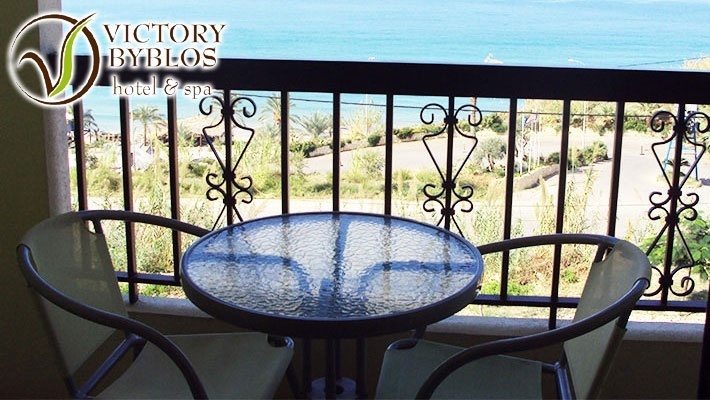 Benefit from a One Night Stay in a Deluxe Sea View Room with Breakfast for Two at Victory Byblos Hotel & Spa, only $55 instead of $90. The perfect escape for soulmates! 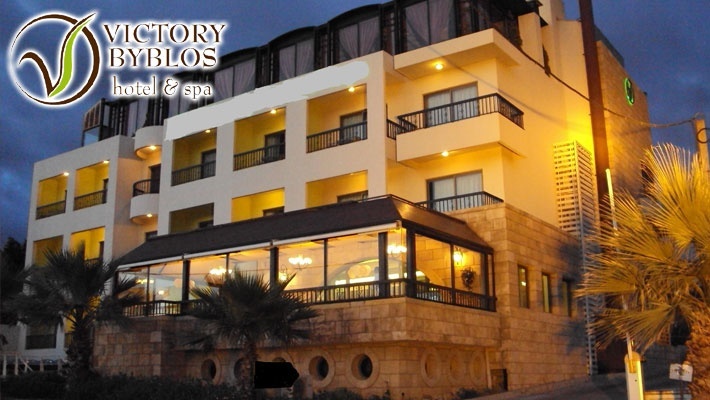 Victory Byblos Hotel & Spa has been rated as the best value hotel in Byblos, suitable for family holidays, independent travelers, and business travelers. 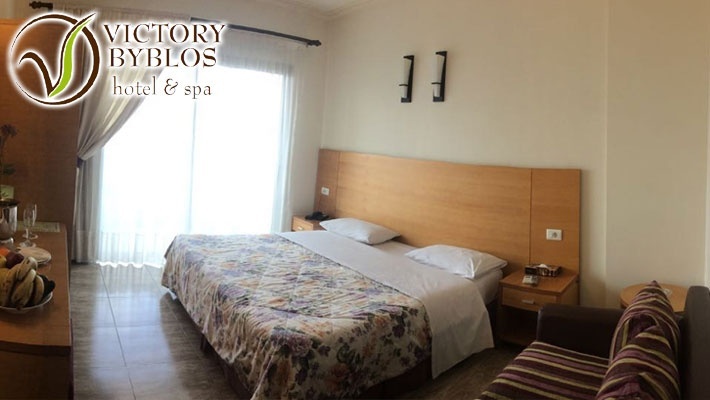 Those visiting for the purpose of touring this historical city, will be glad to know that we are located only minutes away from the vibrant Byblos central neighborhood, the beach, the shopping district, Casino du Liban, historical sites, and even 20 minutes away from the Saint Charbel Monastery, 30 minutes away from the Ski slopes of Laklouk and 25 minutes away from the Jeita Grotto. This elegant and distinguished hotel boasts of 32 individually styled rooms and suites with an outstanding romantic, graceful, comfort, and luxurious touch. Guests are provided with a digital safe box, direct phone line, high-speed wireless free internet connection, satellite channels, individual A/C & heater. 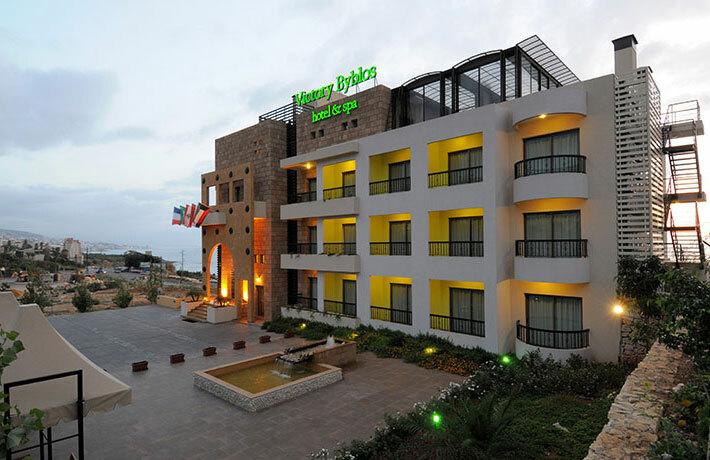 All the deluxe guest rooms and suites have a breathtaking panoramic view of Byblos' coastal roads, spectacular beaches & mountains. For a sense of well being and relaxation, be sure to drop by the lounge bar and spa. 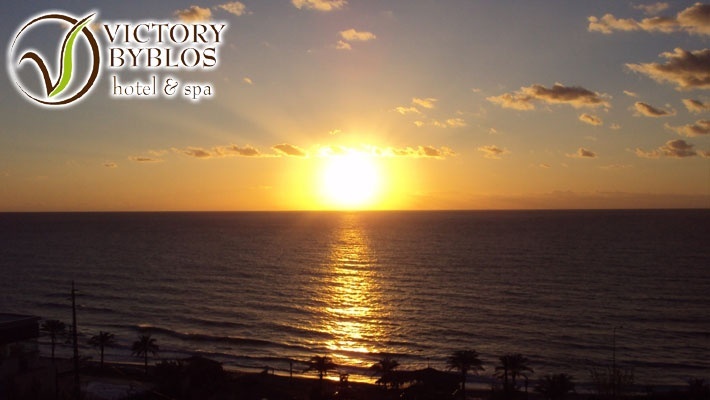 Upon your stay, you will discover that Victory Byblos provides only the finest service aiming for the essence of pleasure and well being. 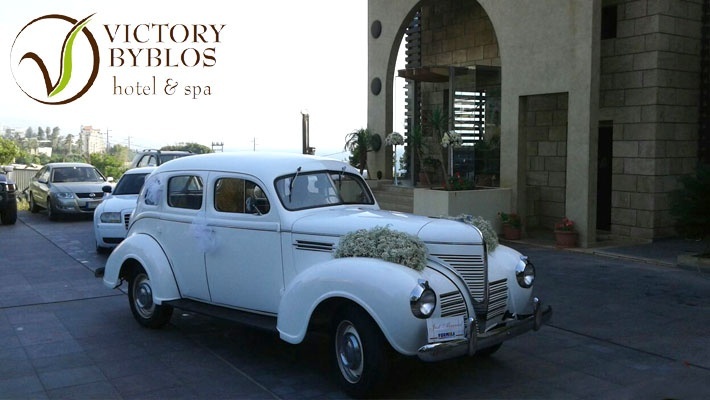 Whether you choose to unwind with a variety of spa and well-being treatments or dine with associates and friends at the international restaurant, be sure that Victory Byblos always has something to satisfy your taste buds. All guests have the following benefits; free access to the jacuzzi at the V Spa, free parking (indoor and outdoor), free internet in lobby, terrace & rooms.